August is back to school time, and Sam's Club is celebrating by partnering up with Box Tops for Education. 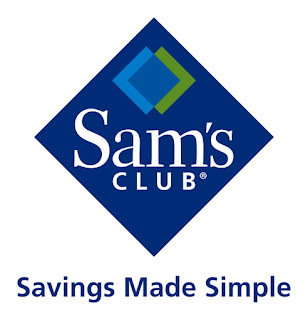 You can also visit Sam's Club on Facebook. You can earn more cash for your favorite school in August with the 6 Box Tops on a Package promotion. Participating Box Top items include some wonderful General Mills brands like Nature Valley Granola Bars, Honey Nut Cheerios, or Totino's Pizza Rolls. The Pizza Rolls would be my husband's favorite way to acquire Box Tops. Which product is a favorite in your family? You can see a list of participating products here. Tell me in the comments, and you have a chance to win a $25 gift card to Sam's Club. With that gift card, you could purchase all kinds of fabulous things for back-to-school -- use it for clothing, school supplies, towards a computer -- or to purchase 6 Box Tops on a Package items. Follow my blog through Google Friend Connect for an additional entry. Follow my blog through Networked Blogs for an additional entry. This giveaway will close at or just after midnight MDT on Wednesday, August 10. I will use random.org to select a winner, and the winner will have 24 hours to get back with me with mailing information. I will make reasonable attempts to contact you, but if I can't figure it out, I reserve the right to draw a new winner. Disclosure: The Sam's Club gift card, information, and giveaway have been provided by General Mills through MyBlogSpark. Our favorite item is Cinnamon Chex! We like that it is gluten free and still tasty. For our gluten free and very busy household I would love the Gluten free Bisquick. My family loves Pizza Rolls. I just started following you on GFC. It looks like I am #300. (No pic yet). My son LOVES Totino's Party Pizza. I make it for him for lunch about once a week. Yes I collect them from Ziploc products! My kids love pizza rolls, although I try not to get them that much since they are so bad for them. Everyone in our family likes the Nature Valley granola bars. I already follow your blog with Google Friend connect. I'm also following with Networked Blogs. I found your blog through FIRST and I am so glad I did! Old El Paso would be my family's favorite! Totino's Pizza Rolls would be our household favorite too! Following you through networked blogs. I already thought I had been until I tried again and saw I hadn't yet. :) glad I saw your promo so now I am!!! I'm following you through GFC !!! landolakes eggs are my favorite way to collect boxtops. We like Totino's Pizza Rolls. I love the Betty Crocker Brownies. Also Pillsbury Grands are great for dinner and a boxtop for Education point! I had no idea some of those products participated in the Box Tops program. So many of the cold cereals are loved in my house--a treat for Sunday mornings. I have an addiction to office/school supplies and love seeing all of the products from Avery on the list.